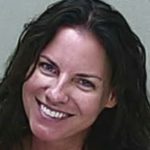 Manslaughter Charge – A woman who has now been made famous by her mug shot in which she is smiling, has a new manslaughter charge against her. The accident involved three vehicles. The suspect re-ended a vehicle who then re-ended a tractor trailer. The 60 year old victim died four days after the accident at Ocala Regional Medical Center. She was a passenger in the second car of the accident for which her daughter was driving. The suspect is Angenette Marie Welk who is a wife and mother and is forty four years old. The suspect was initially arrested for suspicion of driving under the influence and she was released on a $10,000 bond. The suspect was re-arrested with upgraded charges of DUI manslaughter. These are fatality accident in which the individual who caused the crash has also been consuming alcohol or drugs was operating a motor vehicle. This is different from DUI Murder as intent is not a consideration. If you have been charged with a DUI related charge it is imperative that you contact an attorney with experience to defend you in court as the charges against you are serious. There are a series of dates that can not be missed or there will be serious consequences. In addition, you will also have to deal with the Department of Motor Vehicles (DMV).